Immigration legal issues are very stressful and complicated legal matters. Something as important as you or your family’s immigration status, work status, or personal liberty should be managed by a qualified immigration lawyer that knows the system, and how to work with the immigration authorities and get positive results. At Velter, Yurovsky & Zoftis, LLC, we are personally dedicated to helping the people in the communities of Bucks County, Philadelphia County, and Montgomery County, Pennsylvania with all immigration legal matters. We genuinely care about keeping families together and assisting people seeking legal immigration status in the USA. If you are ready to take the final step and become a United States citizen, we can assist you. Naturalization is a lengthy process; the average naturalization processing time can take many months. We can work to help you expedite the process, and with all of the required submissions – which are extensive. Any failure to provide the correct documentation will create problems and delays. 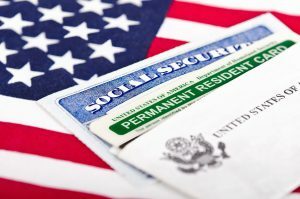 Issues such as the ability to speak English, a criminal record, an earlier deportation order, or cases of illegal entry can make the naturalization process more difficult. We can assist you to pursue your goal of becoming a U.S. citizen. People who have been arrested, convicted, or have admitted to committing any crime, whether a felony or misdemeanor, a drug-related crime, DUI, or other offense, are not eligible for legal status in the USA. If you have a criminal record, it is imperative that you get legal assistance for a visa, green card, asylum, or citizenship. Several legal strategies may help you avoid deportation or other criminal legal problems that could impact your legal status in the USA. It is advised that you call our firm at once if you are facing criminal charges that could impact your legal immigration status. Immigration law is exceptionally complex, and dealing with the agency on your own can lead to disaster, including deportation or being separated from a family member. You need an attorney that can effectively work within the system, and will help you to pursue the outcome that will be best for you and your family. At Velter, Yurovsky & Zoftis, LLC, we care about our clients and do everything possible to seek a favorable outcome, even in the most difficult immigration cases. Call us at (215) 969-3004 for immediate assistance, or contact us by using our online form.